The critical role of women in the economic growth and development of Africa in the past fifty years cannot be overemphasized. A majority of African women engaged in farming, informal sector street vending and petty trading, paid domestic work, house work and care-giving duties, and trans-national trade. Generally, African women worked longer hours than men but owned or received disproportionately less than them. The bulk of their work remained unpaid and poorly remunerated in spite of long working hours, a situation which had resulted in the feminization of poverty. In agrarian economies of Africa, women remained the primary cultivators. At least 70 percent of African rural women were involved in agriculture with concentration in food production and processing. Using simple, time-consuming and laborious implements, women spent more time in agricultural activities, either in their farms or husbands’ or in both; yet many of them lacked access to land, training, appropriate technologies and other agricultural resources. In order to supplement their subsistence production and whatever financial support they received from their husbands, some of the women also engaged in seasonal or casual wage labor in agro-industries in Cameroon, Cote d’Ivoire, Ghana, Liberia, Mozambique, and Nigeria, processing such crops as cocoa, cotton, corn, rubber, and palm oil and kernels. African women were therefore as crucial in export and raw material production as they were in the food sector. As men moved into agro-industrial and large-scale agricultural production, utilizing modern technologies and improved techniques, the majority of African women remained at subsistence and small-scale production with old rudimentary and time-consuming implements. This disparity has informed some to suggest that men’s monopolization of advanced technologies and access to capital and resources has increasingly marginalized African women in agricultural production and diminished their economic independence. But what is vital here is the reality of social stratification and differentiation at the household, village and societal levels and the imbalances in power relations which privileged men in terms of access to the means of production and the control of surplus or profit that came from added incentives to produce. While men controlled the means and benefits of agricultural production, African women were never excluded from productive labor nor did their workload decrease; rather male discriminatory practices denied women the opportunity to maximize their potential and the fruits of their labor. Between the 1980s and 1990s, African countries witnessed severe economic crisis. As conditionality for aid from international financial institutions and donors, such as the World Bank and International Monetary Fund, African countries were required to adopt economic adjustment measures. The countries began the implementation of structural adjustment programs (SAPs)—trade liberalization, free market forces, budget rationalization, privatization of public services, currency devaluation, civil service reform—in the early 1980s as a panacea for the crisis they faced. Ironically, most economies of Africa have remained monocultures, exporting low-value raw materials; high-value extractive commodities such as petroleum with attendant environmental degradation; as they have continued to import highly inflated technologies, raw materials, and other goods, a pattern which has worsened Africa’s external debts. Africans have witnessed increased international migration, transnational trade, and global systems of production and communication. Both SAPs and increased globalization have had far reaching consequences on Africans and their communities. The privatization of public corporations, devaluation of national currencies, and streamlining of the public service as part of SAPs, created untold hardships to Africans with high cost of social services, scarcities of goods and services, retrenchments and high rate of unemployment. Similarly, increased globalization and SAPs had contradictory effects on African women. In highly stratified African economies, characterized by poverty among the majority, high inequality in the distribution of income and wealth, and rural-urban disparity, SAPs and globalization served to compound the vicious circle of poverty among the vulnerable groups, many of whom being women. However, globalization has increased African women’s spatial and economic mobility through the explosion of information superhighway, transformation of global market and creation of new economic interdependency across vast distances as well as the compression of distances, acceleration of mobility and reduction in the relevance of political borders. It has increased the opportunity for African women to engage in a wide variety of commercial enterprises discussed below. The globalization of human rights campaigns and gender equality by international NGOs have emboldened women and increased women’s mobilization and organizations through information exchanges, mutual support and direct actions for social justice and women’s empowerment. In the face of severe economic hardship, mounting social deprivation and misery, women found new avenues of economic survival and continued to economically contribute to their families and the development of their countries. Galvanized by their spirit of self-reliance and associative power (networks, cooperatives, supportive of one another), African women sought alternative sources of economic and social improvement. Many of them, both rural- and urban-based, maintained vegetable gardens as a means of augmenting family incomes. They intensified the production of hunger-resistant and less laborious crops such as cassava and corn. Some of them who were gainfully employed used their spare time to engage in the processing of agricultural produce and in trade. African women had entrenched their age-old tradition of pooling their energies and resources together into cooperative associations for small- and medium-scale enterprises, credit facilities, appropriate technologies, marketing strategies, access to resources, advocacy and information sharing. Examples of such cooperatives abound in different countries of Africa, including the General Union of Cooperatives of Maputo (UGC) in Zimbabwe; Women in Service Development Organization Management (WISDOM) in The Gambia; and the Green Belt Movement in Kenya. African women have a long history of involvement in distributive systems of their respective communities, integrating rural and urban markets as well as national, continental and international economic systems. Influential urban women traders of West Africa, for instance, possessed an uncanny knowledge of major periodic markets, helped to move large quantities of produce from rural areas to urban markets, facilitated rural capital formation and staple food price stabilization while supplying consumer durables and provisions to rural populations. While some women increasingly involved in night market trade as in the case of the Baganda women of Uganda, who dealt in a wide selection of foods, from quick snacks to full meals, others took to smuggling within and across national boundaries. Some of the most influential African market women have become international merchants, importing all kinds of foreign goods into Africa and also exporting local products abroad, an opportunity which has enhanced their economic independence and status in society. Unfortunately, this group of women belongs to the minority of African female population. Another most prominent group of female traders are those who engage in cross-border trade, successfully navigating inhibitive barriers such as lack of a common currency, transportation difficulties, security and border checks and extortions. For instance, apart from such products as spare parts, used tires and used cars, where men dominate, the majority of cross-border traders in West Africa are women. Such trading activities have increased women’s financial independence and their access to and control over resources, and enabled them contribute to household goods and services, including children’s health and education, and to the regional and national economic growth. Yet Western development experts and paradigms have often blamed African women’s economic predicament to traditional beliefs and practices and women’s lack of any agency and amenability to change. While there might be some truth in such claims, especially in relation to the persistent patriarchal practices and customary inhibitions against women, it is significant not to obscure the realities of Africa and its women but to illuminate them. For example, the assumption that it is “untraditional” for African women to own land obscures the fact that land was for the most part communally owned until the European colonial authorities introduced individual ownership and commercialization of land in different parts of the continent. Since then African women have struggled to regain their usufruct rights over land, a problem that has continuously undermined their economic independence. Persistent patriarchal relations that govern economic behavior of most household and socio-cultural practices that tend to deny women access to education, training and resources, have confined them to the informal sector of their countries’ economies, where they have continued to engage in subsistence production and small-scale distribution. African women are often held down by low level of literacy, restricted access to credit and capital, management problems, overwhelming burden of epidemic diseases as care-givers, reproductive and familial obligations, and the tendency to give priority to men in terms of access to credit facilities, employment and recruitment to the modern sector. Virtually excluded from the industrial productive and labor sectors, and constrained by the forces of external exploitation, the majority of African women are confined to a life of limited welfare but heavy labor burden. The situation is often worse for female heads of household due to lack of spousal support and access to land, credit, employment and extension services. African women have also continuously struggled to navigate barriers engendered by the conflicting impact of legal pluralism—common law, civil law, religious laws and customary laws, as well as remnants of colonial and postcolonial statutes, precedents and custom—which complicate the administration of justice in different African countries and compromise women’s rights. Customary and statutory laws pertaining to family, inheritance and access to land undermined women’s economic independence as such ordinances denied them ownership, inheritance and even usufruct rights over land, the most valuable source of wealth and power in many African communities. Codified customary law based on discriminatory patriarchal notions of women’s appropriate role in social and familial relations, compounded by devastating epidemic diseases such as HIV/AIDS and recent Ebola with significant consequences on economic development, have notably affected more women than men in a number of African countries, including Kenya, Liberia, Malawi, Sierra Leone, Zambia, and Zimbabwe. It is important to reconcile and integrate statutory and customary justice systems (interpretation and implementation of which are limited to men and practices strongly dictated by patriarchal norms) to protect women’s human rights and ensure their access to justice and legal protection, especially in many African countries where customs, the bases for customary law, regulate communal and social relations and adjudicate disputes according to recognized practices. In this essay, efforts have been made to examine how African women as individuals and groups, have continued to assert their agency in the economic development and political stability of their respective countries in the past five decades. While their experiences might be diverse and complex, based on their relational identities, cultural contexts and geo-political particularities, African women have been quite resilient and adaptive in negotiating barriers to their educational pursuits, economic activities and political engagements. This essay has also demonstrated that improvement of women’s skills, and their access to training, credit, appropriate technologies and other resources is an effective way of ensuring sustainable development in Africa. 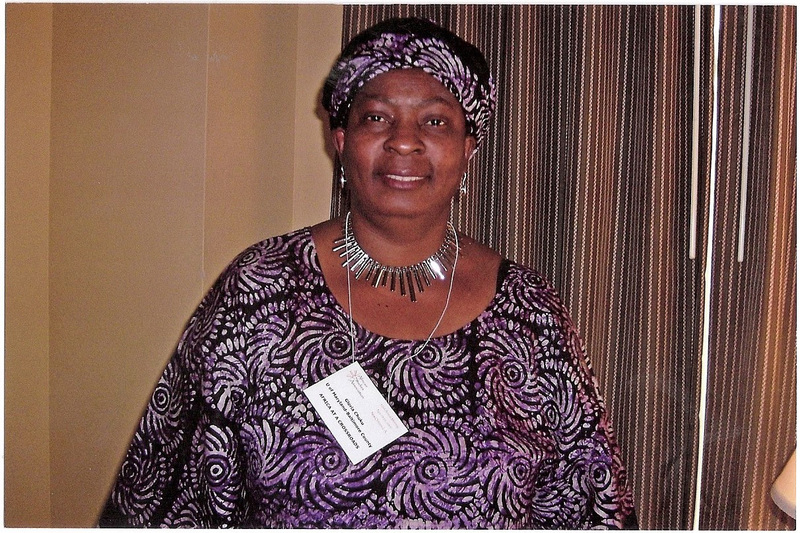 It has also shown that in spite of patriarchal sensibilities and cultural subjectivity that resulted in gender disparities in access to all levels of formal education; and the politics of tokenism and often exclusion, African women have continued to devise measures that offer them opportunities to be heard and be visible at the local, national, continental and international political arenas. But in the interest of democratic justice and fair representation, it is pertinent for African countries to increase the number of competent women in positions of power and policymaking at all levels of leadership. It is equally important for those women in high leadership positions to be committed to ensuring that laws protecting women’s rights and social justice are promulgated and enforced. Increased number of competent African women should also be given the opportunity to engage in the prevention and resolution of violence at local, national, regional, continental and international theaters. The samples of individual female leaders presented above are only a representative of the many African women who have demonstrated enviable and impressive leadership in different walks of life. They are role models for girls and younger women who follow in their wake. Despite the enormous progress and gains made, African women are still faced with difficult challenges and lingering problems in their daily activities. While some of these challenges are linked to the global economic order that places African countries to the periphery, resulting in economic development crisis, others are internally generated. These include failure of governance in a number of African countries, human rights abuses and violations, violence against women, lack of access to economic resources and social services, persistence of patriarchal practices and sensibilities and other culturally rooted barriers. Traditions and customs are not easily susceptible to change. But through dialogue among stakeholders, and the comprehension and respect for cultural norms, networks and mobilization strategies of African women, some progressive inroads could be made to either reform them or reduce their harmful impact on women and the larger society. Whether elite or peasants, African women have intimate knowledge of their lives and needs, and of their communities. Therefore African men, foreign aid and development workers should engage them as capable agents of social change and development in dialogue about their lives, needs, aspirations, challenges and in general, their communities. 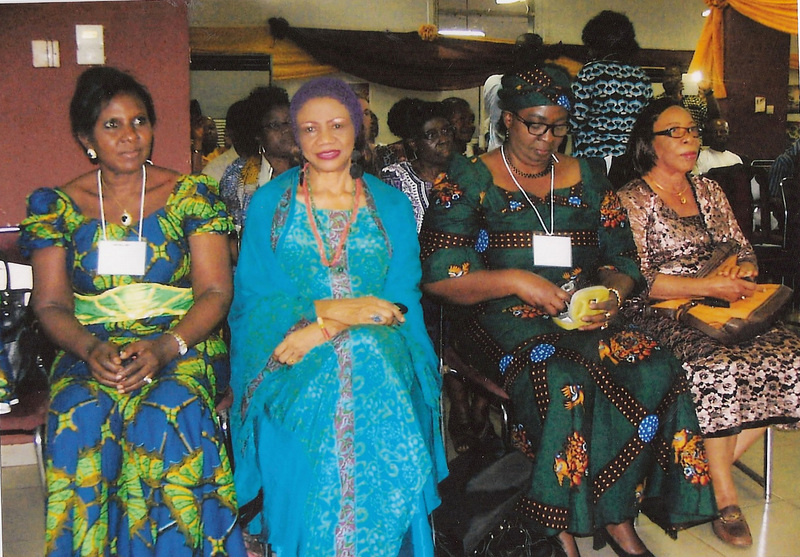 It is important to create national and international mechanisms for the advancement of African women. Finally, the inhibitive problems discussed above should not be treated in isolation of one another but seen as a broad continuum of issues important to African women, which if adequately addressed, will go a long way to enhance their socioeconomic mobility and improve their lives and those of their families. This entry was posted in Features, People/Places, Politics. Bookmark the permalink.